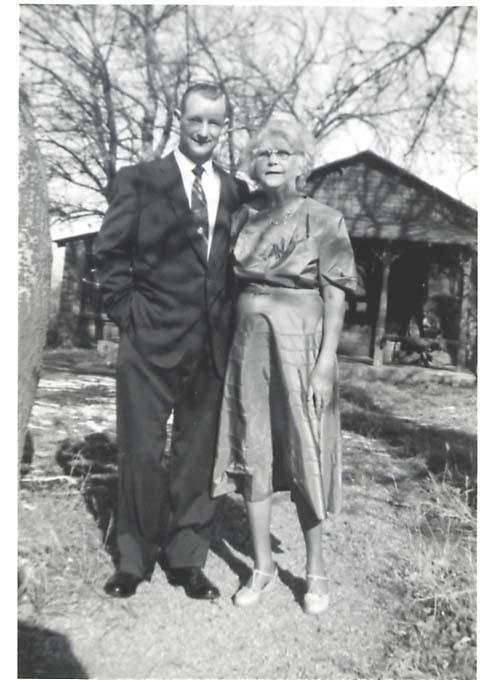 This is Richard Gregory and Mrs. Virgil (Doris) Harrison. Richard's Dad, Harvey, ran a shoe repair shop in his home, between the Lane's house and the Cozy Cafe. The Harrisons lived on the corner, west across the school grounds from Mrs. Allen. This picture was taken around '53. Richard only lived in Cardin for a year or so, moving here from Gore. He had a letter jacket with a big "G" on it, and everyone thought he was from Grove.